Successful service-learning programs are built around a core of standards as outlined by the National Youth Leadership Council and the National Service-Learning Cooperative. Meaningful Service - Students engage in service-learning programs that are relevant and valuable to both participants and those being served. Link to Curriculum - Service-learning is an integral part of the learning process, with direct ties to academic studies and content standards. Reflection - Service-learning activities should provide opportunities for students to process their learning, and evaluate the effectiveness and success of the program. Diversity - Through service-learning programs, students encounter, and gain appreciation for a diversity of backgrounds and perspectives. Youth Voice - Students are active partners in service-learning programs, with a voice in planning, implementing, and evaluating service activities. Partnerships - Service-learning builds partnerships between young people and the broader community that can last beyond the initial service experience. Progress Monitoring - The progress and achievements of service-learning programs are shared with policymakers, education leaders, and others, to help sustain program support and high quality standards. Duration and Intensity - Service-learning works best when it is conducted across sufficient periods of time, so as to fulfill project goals and the needs of those being served. Primary, secondary, and college students participate in service-learning activities that meet important State Park needs and issues. Students develop their service activities in collaboration with teachers, community partners, and park staff. 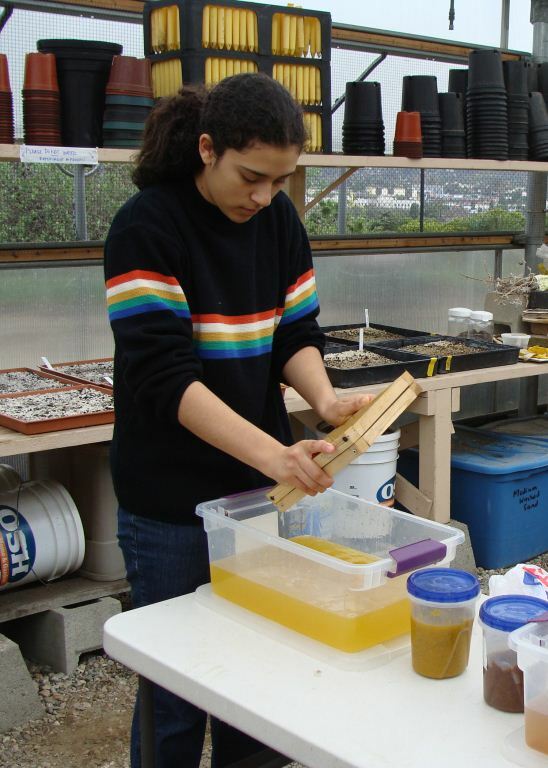 Service-learning activities have a clear connection to the California State academic content standards and to the California Career Technical Education (CTE) standards. 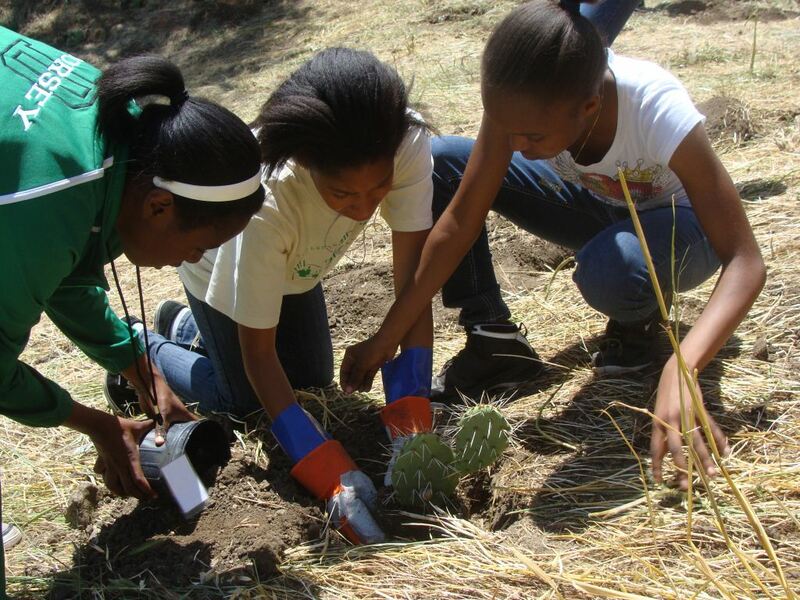 Many service-learning projects also correlate with science and history-social science components of the California Education and the Environment Initiative (EEI). Service-learning in State Parks includes activities such as researching and developing interpretive materials, creating exhibits, or assisting with preservation/conservation work or visitor programs. Outlined below are some of the creative and rewarding service-learning opportunities available with California State Parks. 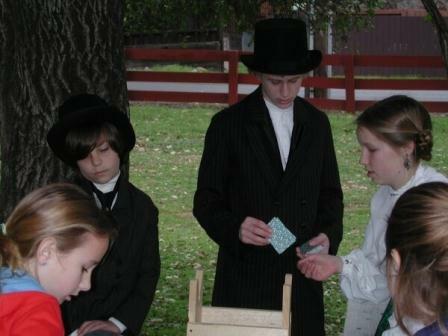 The Life in the 1850s program is a service-learning partnership between California State Parks, the Red Bluff Union High School District, and the Ide Adobe Interpretive Association. The program offers students the opportunity to visit William B. Ide Adobe State Historic Park and learn and teach about life in 1850s California. Students from Red Bluff and Salisbury Continuation High Schools attend over forty hours of training presented by State Parks staff. Additionally, one student from each high school sits on the Friends of Ide Adobe board. 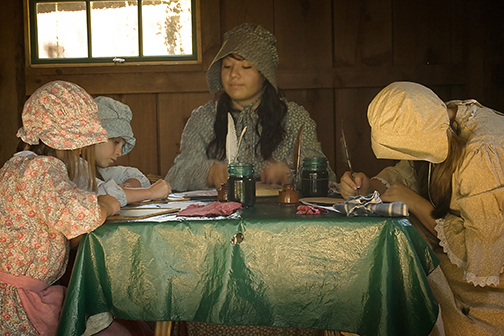 Participation in the program enables students to gain familiarity with the California State Parks system, learn leadership skills, and study the language, dress, and pioneer skills of the 1850s such as rope making, blacksmithing, cooking, and woodworking. Students research and develop their individual pioneer characters. 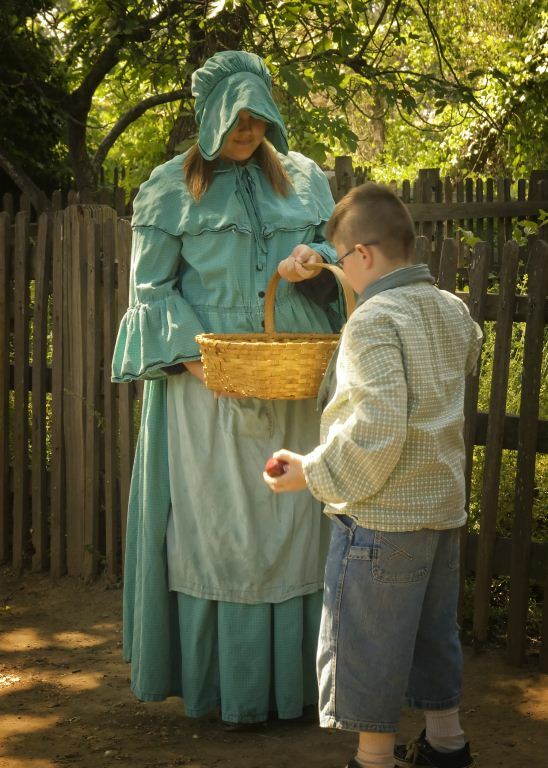 Once trained, the high school docents, in period attire, teach Life in the 1850s programs to elementary school children. The programs continue every Tuesday and Thursday from mid-February through early June. Life in the 1850s aligns with the California State content standards for history-social science and English-language arts. The program also highlights career pathways outlined in CTE Industry Sectors such as Education, Tourism and Recreation, Manufacturing, and Fashion. At the conclusion of each program, student docents discuss what worked or did not work, problem solve, and share ideas for the next program. Life in the 1850s allows William B. Ide Adobe State Historic Park to offer quality interpretive programming, while instilling a sense of stewardship in students who become dedicated members of the park’s volunteer crew. California State Parks offers educators and service organizations a unique opportunity to establish service-learning projects. Because the state park system is decentralized, interested groups should contact their local park(s) directly. Local park phone numbers and addresses may be found through the Find a Park feature of the California State Parks website.